“Concentration has been defined as ‘the ability to direct one’s thinking in whatever direction one would intend’. We all have the ability to concentrate some of the time. But at other times our thoughts are scattered, and our minds race from one thing to another. To deal with such times, we need to learn and practice concentration skills and strategies. To concentrate, we have to learn a skill, and as with any skill this means practice repeated day after day until we achieve enough improvement to feel that we can concentrate when we need to. With all of the distractions that this world has to offer, it can be difficult to knuckle down and focus on one particular task. We’re always looking for ways to improve concentration, but even the process of finding one can be a distraction itself! The good news is that having a difficult time concentrating can be a learned habit that can be unlearned if you’ve got the right tools. That’s where brainwave entrainment can immediately help you improve your concentration and begin to change your habits. Are you ready to discover how binaural beats and isochronic tones could help you improve your focus? In looking for ways to improve concentration, one of the best and most effective ways to do so is to induce a semi-meditative state while you are working. putting a clear focus on whatever project is in front of you. So how can you enter into this meditative state? Numerous studies have shown that classical music can help to clear a mind to focus on a task and this happens because music engages the whole mind at the same time. That’s exactly what brainwave entrainment does as well, but with an added benefit: the binaural beats and isochronic tones included with the entrainment music and sounds literally tune your mind to the specific frequencies you need to concentrate. Could Vibrations Be One of the Effective Ways To Improve Concentration? The unique thing about your mind is that when it distinguishes two different frequencies, it creates a “beating” sensation within your mind. 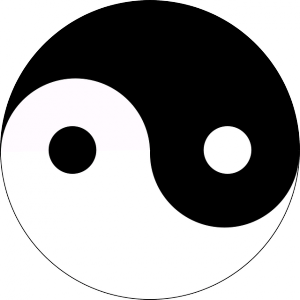 These are the binaural beats and the frequency level and difference between the two sounds is what helps you to tune your mind. For example, let’s say you’re looking for ways to improve concentration, so you select a brainwave entrainment product that offers sounds at 300hz in your left ear, but 320hz in your right ear. That 20hz difference results in a beating sensation within the mind, which may then be enhanced with the addition of isochronic tones. These “mental vibrations,” if you will, then help to stimulate your mind and remove distractions, helping you to focus better, work harder, and ultimately create a higher quality result. 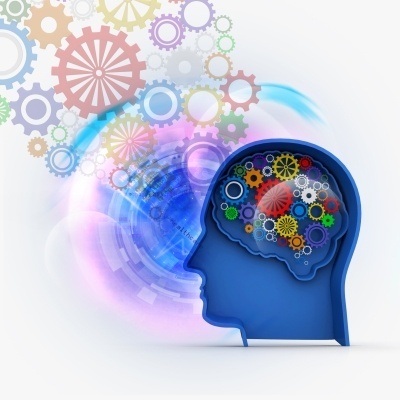 Why Do Creative People Use Brainwave Entrainment Products? Do They Only Improve Their Concentration? When it comes to ways to improve concentration, nothing is more effective than a specifically tuned brainwave entrainment product! 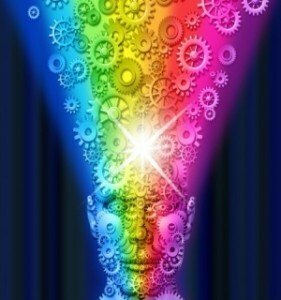 Artists, writers, and other creative people are all moving toward the use of binaural beats, isochronic tones, and other brainwave entrainment products for one simple reason: not only can it improve their focus, but it simultaneously helps to eliminate stress, anxiety, and other fears that can prevent the creative process from occurring. Every job, however, requires creativity in some form or another. There is always a problem that needs a creative solution somewhere, which means brainwave entrainment is right for all professions, all sectors, and all people. You might need to use this product during a break instead of during your actual job duties, but the emphasis of this product is clear and proven: you can eliminate distractions, recover faster from stress, and produce more and better work through the use of binaural beats and isochronic tones. What Happens If I Overuse Brainwave Entrainment? Most brainwave entrainment products suggest a listening time of about 30 minutes per day, 6 days per week, for one simple reason: your mind can begin to become immune to its effects. For that reason, many people choose to either start their day with a helpful brainwave entrainment product. Others choose to end their day to help reduce the overall stress from the rigors of the modern lifestyle. For that special project that needs a higher level of creativity, binaural beats could be used during the composition phase itself! It ultimately is about what you need and when you need it. Be careful not to overuse an entrainment product, but also be careful about not using it enough. In developing new ways to improve concentration, you must be consistent in the creation of your new habits. If you are not, your already established distracting habits will override your efforts to change and that will cause you to be just as distracted, if not more so, than before. Are There Other Ways to Improve Concentration? There are, and many of them involve adding more oxygen to the blood that reaches your brain. That means deep breathing exercises, physical exercise, or even basic stretches like you could get from a Yoga routine. Yet all of these ways to improve your focus have something in common with the use of brainwave entrainment – to settle on one specific habit, develop it so that it overrides your distracting habits, and then choose to implement it every day. Yet for some, just one method of concentration development just isn’t enough. They are so distracted and pulled in so many directions that they just can’t settle with one! For these specific individuals, who might not be able to even sit through their favorite movie, a combination of concentration enhancement efforts could be more effective. By combining the use of brainwave entrainment and then physical exercise, it may be possible to satisfy the urge to do multiple tasks. For example, someone could take time to clear their head, yet after using the product for 30 minutes, then move to physical exercise to continue clearing their head so that problems can be worked out. If you’re looking for ways to improve concentration, I highly recommend that you give a brainwave entrainment product with binaural beats and isochronic tones an honest try. It has been shown to be effective, proven, and reliable. Are you ready to improve your focus? Then get started today! 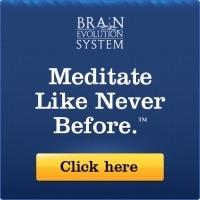 Brain Evolution System – Improve Your Concentration Today!